Earlier this year, Avengers: Infinity War achieved the biggest movie opening of all time, grossing a combined $630 million at North American and foreign box offices. According to a report from Take-Two Interactive, Rockstar’s Red Dead Redemption 2 has eclipsed Marvel’s achievement. 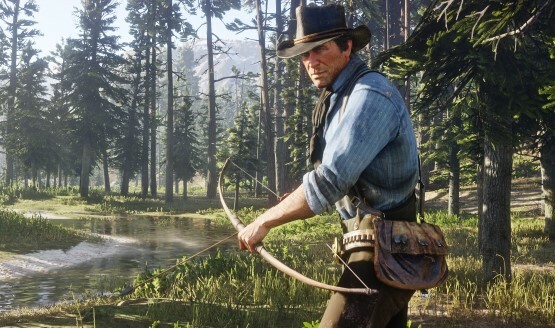 In its first three days on the market alone, RDR2 made an astronomical $725 million. Rockstar Games is proud to announce that the critically acclaimed Red Dead Redemption 2 has achieved the single-biggest opening weekend in the history of entertainment. With over $725 million in worldwide retail sell-through during its first three days, Red Dead Redemption 2 is the second-highest grossing entertainment launch of all time next to Rockstar Games’ previously released title, Grand Theft Auto V, which achieved over $1 billion in retail sell-through in three days. GTAV’s billion dollar opening doesn’t earn the weekend crowning achievement, as its September 2013 launch fell on a Tuesday. However, with the title’s being the most profitable entertainment property in history, it hardly needs more to boast about. The eight-year gap between releases no doubt fuels the prequel’s meteoric success. Rockstar’s pedigree also ensures its every release sets sales records of some kind. Yet, review scores were likely influential as well. At present, RDR2 stands as 2018’s highest rated game, thus far. It sits at a 97 on Metacritic, followed by God of War‘s 94. Our review of the new Rockstar adventure rewarded it with a 10 out of 10.